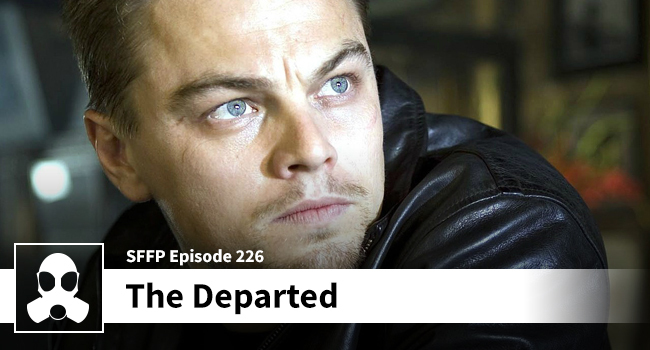 Dean, Josh, and Matthew tackle The Departed, but they mixed it up a little this week. First, they don’t go scene-by-scene, but rather they get into the characters, the performances, and the plot. There are comparisons to Goodfellas, discussions on the cinematography, and lots of questions asked by Dean as it relates to: the plausibility of Costello’s men murdering Queenan, the level of suspicion for both Sullivan and Costigan in their respective “undercover” roles, and of course Costigan’s decision to flee the police station once he spots the “citizens” envelope. The latter sparks a heated debate between Josh and Dean. Another blast of an episode that you DON’T want to miss!